In February, the Van Allen Probes mission operations team at the Johns Hopkins Applied Physics Laboratory—where the probes were designed and built—began a series of orbit descent maneuvers that will position the satellites for an eventual re-entry into Earth's atmosphere in approximately 15 years. "At the new altitude, aerodynamic drag will bring down the satellites and eventually burn them up in the upper atmosphere," said Nelli Mosavi, project manager for the Van Allen Probes at APL. "Our mission is to obtain great science data and also to ensure that we prevent more space debris so the next generations have the opportunity to explore space as well." "The spacecraft and instruments have given us incredible insight into spacecraft operations in a high-radiation environment," Mosavi said. "Everyone on the mission feels a real sense of pride and accomplishment in the work we've done and the science we've provided to the world—even as we begin the de-orbiting maneuvers." Earth's radiation belts are made up of energized particles—protons and electrons—trapped in eternal orbit around the planet. "We know that other planets in our solar system with magnetic fields have radiation belts," said Sasha Ukhorskiy, a project scientist at APL. "We can assume that other bodies throughout the universe do too. By studying the belts and the physics associated with them here at Earth, and using our world as a natural laboratory, we can learn about how these structures function around other objects in the universe with magnetic fields." "Our magnetic field does a pretty good job of shielding us from these solar blasts," said David Sibeck, a mission scientist at NASA's Goddard Space Flight Center in Greenbelt, Maryland. "But some of their energy penetrates deep into the Earth's field and, through a variety of mechanisms, powers up the radiation belts. When that happens, spacecraft in the belts had better look out: Trouble lies ahead in the form of short circuits, disrupted computer memory, and instrument failure." "Over the past six and a half years, the Van Allen Probes have completed three full circuits around the magnetosphere, and measured more than 100 geomagnetic storms," Ukhorskiy said. "The Van Allen Probes verified and quantified previously suggested theories, discovered new mechanisms that can sculpt near-Earth energetic particle populations, and used uniquely capable instruments to unveil unexpected features that were all but invisible to previous sensors." "The data from the Van Allen Probes has led to more than 560 articles published in peer-reviewed science journals since the launch of the mission," Ukhorskiy said. "Most of these articles are led by authors not directly affiliated with the mission's science teams. And the publication rate has steadily grown since the mission launch; every four days, a new article is published in an international peer-reviewed journal." Since their launch from Cape Canaveral Air Force Station, Florida, on Aug. 30, 2012, the twin Van Allen Probes have delivered to scientists an unprecedented look into the makeup and processes within the belts. 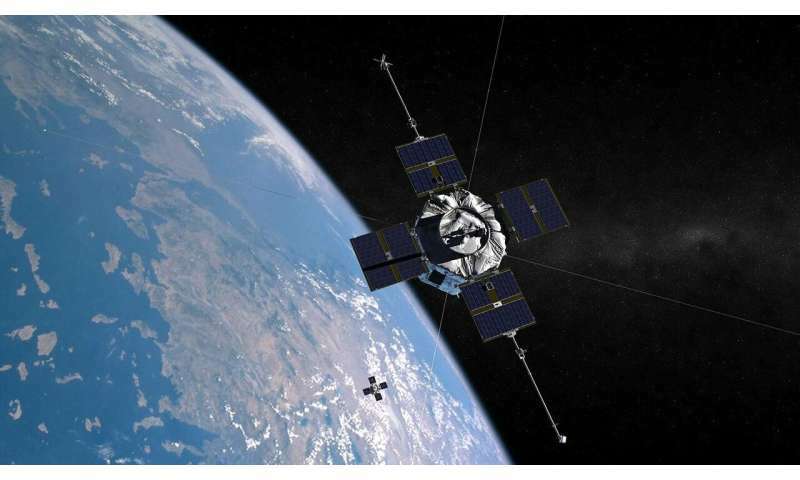 The probes—known as spacecraft A and B—were the first spacecraft designed to spend years operating within and studying the radiation belts, a region that most spacecraft missions avoid because of the damage hazards of the environment. 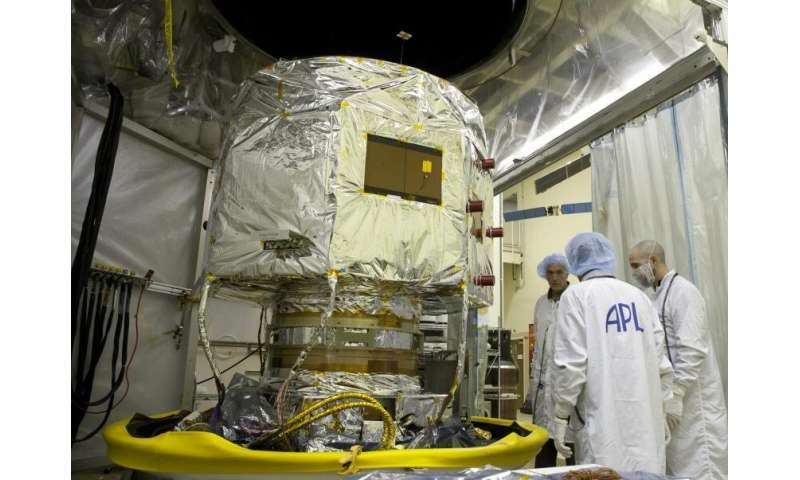 "Designing the spacecraft and instruments to withstand a very harsh radiation environment was the toughest challenge for Van Allen Probes during design and development," said Rick Fitzgerald, who served as the mission's project manager at APL from 2007 to 2012. "Radiation can cause damage to electronics, leading to erratic behavior or outright failure. We lowered the risk of failure through a rigorous design review process, careful selection of electronics parts, and extensive parts and materials testing." To protect the spacecrafts' sensitive electronics, the team added shields around the instruments to prevent the accumulation of electrical charges. "All integrated circuits were designed to survive in the belts, and the spacecraft has a fault management and autonomy system, which mitigates the effects of the environment by resetting electronics in response to single event effects," said APL's Kristin Fretz, mission system engineer from 2013 to 2018. The design has been up to the challenge. "We have had very few momentary errors or 'upsets' of our electronics on orbit, and no electronics box failures to date," Fitzgerald said. "This is the true validation of all the hard work put into the design and test program prior to launch." The longevity and resilience of the spacecraft and instruments mean that not only are they still delivering high volumes of data to Earth, they are also teaching spacecraft engineers about operations in the belts. "The Van Allen Probes have essentially become a live test facility for understanding how electronics and materials can survive harsh radiation," Fitzgerald said. "The six and a half years on orbit provide new data to be used in the models that determine how to manufacture, how to select, and how to predict performance of parts and materials on orbit." The spacecraft continue to operate optimally, and propellant supplies are plentiful. However, NASA regulations require the controlled de-orbit and removal from orbit of all spacecraft after a period of 25 years from the end of the mission. To meet this requirement, the Van Allen Probes team in 2017 began planning how to lower the spacecraft into orbits that would eventually decay and lead to the re-entry through the atmosphere, safely disintegrating them. "If we didn't do these maneuvers, the Van Allen Probes would continue orbiting for hundreds or thousands of years, presenting a potential problem to future satellite activities," said APL's Justin Atchison, Van Allen Probes mission designer. To lower the spacecraft, the mission operations team has to perform the maneuvers at a very specific point in the orbit and at a certain time of year, and must perform the operation in stages, rather than one long engine burn. "We need to maneuver when the satellites are at their highest orbit point away from the Earth, or what's known as apogee," Atchison said. 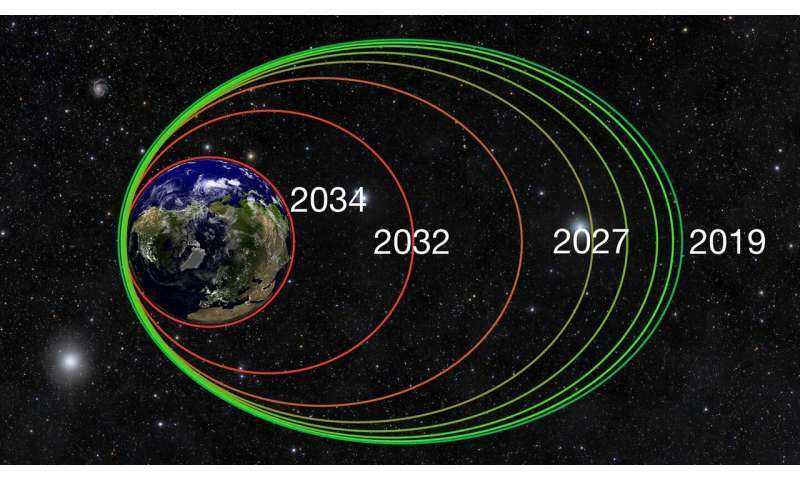 "Ideally, we'd do all of the orbit change in a single maneuver on a single day. However, we're limited by the capability of the thrusters, which are typically only used for very small maneuvers to slightly adjust the orbit or the pointing. So we have to divide the maneuver up into smaller segments to achieve the goal." The team has been rehearsing and practicing the orbit-lowering campaign and is ready to begin this new stage of the mission's life. "The Van Allen Probes mission has done a tremendous job in characterizing the radiation belts and providing us with the comprehensive information needed to deduce what is going on in them," Sibeck said. "More than six years of nonstop excitement and discoveries that provide us with the information needed to ensure that spacecraft can survive in some of the harshest environments known to humanity. In fact, the very survival of these spacecraft and all their instruments, virtually unscathed, after all these years is an accomplishment and a lesson learned on how to design spacecraft."